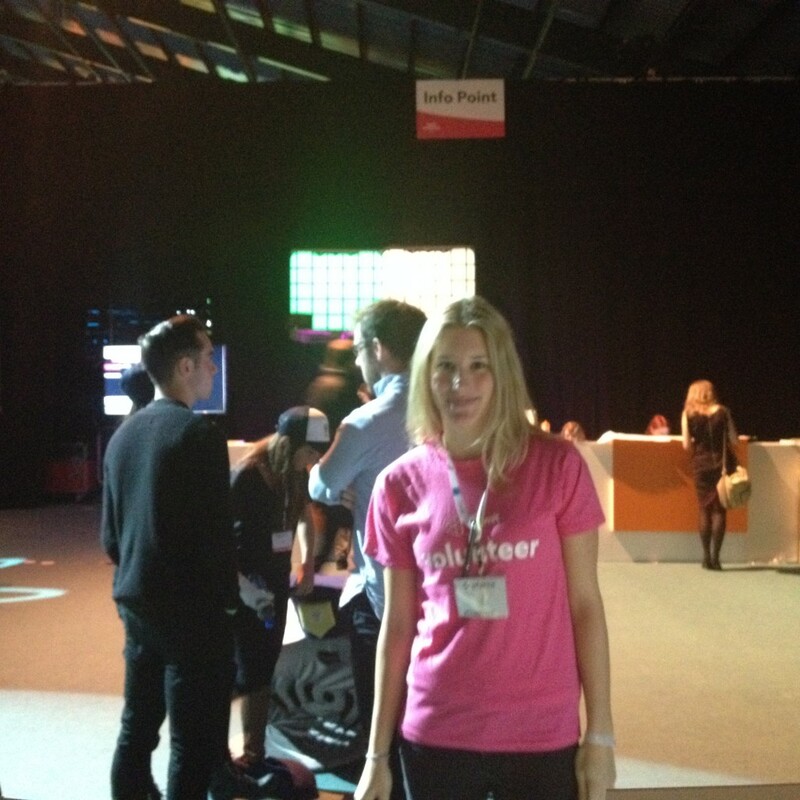 I had the pleasure to be a volunteer at Europe’s biggest Tech conference – the Web Summit in Dublin. 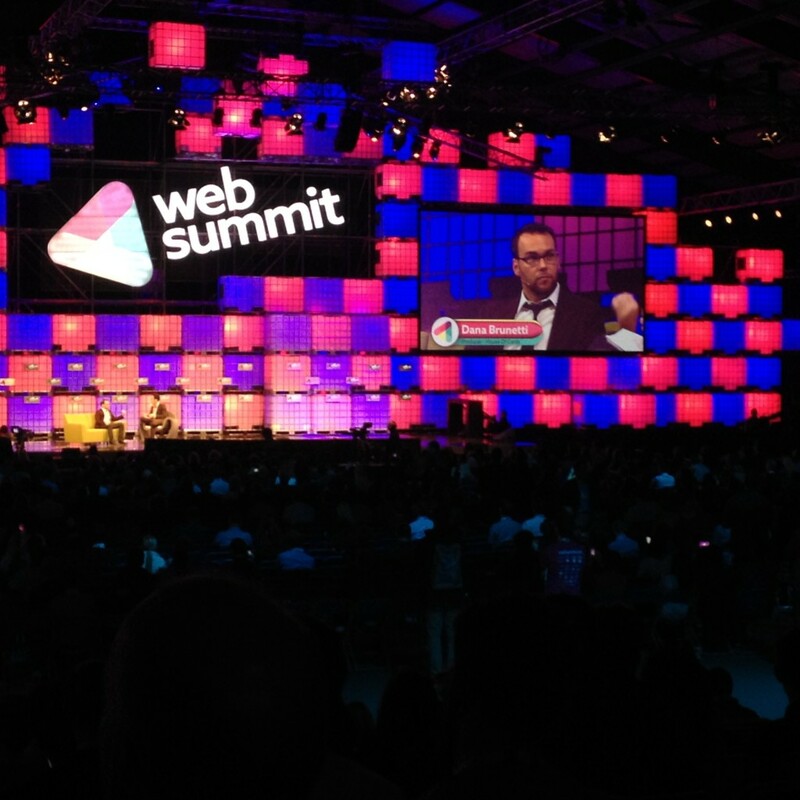 The Web Summit took place for the 5th time and has encountered enormous growth within the last years (starting out with 400 participants in 2010 and this year welcoming over 25,000 people). My main task was to do Startup tours with investors and media and show them around the areas and companies that they could be interested in, but I tried to help wherever I could and was happy to be bombarded with questions by the Web Summit guests. After a countdown that got the over 4,000 listeners at the centre stage even more excited about the start of the Web Summit 2014, Paddy Cosgrave, the founder of the Web Summit kicked the event off with some entertaining stories about the growth and history of the Summit. Even though I constantly buzzed around the venue, I still had the chance to see several interesting talks at the Web Summit. Albert Skip Rizzo from the University of Southern California demonstrated Virtual Reality in the Real World with the Oculus Rift right after Paddy’s opening remarks. Between shifts, I had the opportunity to listen to some pitches on two of the four pitch stages that took place within the scope of the Coca Cola Pitch Award, where throughout the Web Summit, 200 startups were given the chance to pitch their ideas in front of a jury and then could be chosen to be one of the 6 finalists to present on the centre stage on Day 3. On my way back from my shift I had to fight my way back through the masses of people, that wanted to have a chat with the startups at their exhibition stalls. I also encountered many great ideas, amongst other things, a constantly moving robot that creeped me out a little bit and the Mash Machine that Steffi and Verena already played around with at the Pioneers Festival. At the end of day 1, I had the chance to see a great talk with Drew Houston from Dropbox. Shortly before Drew was on the Main Stage, Microsoft and Dropbox announced a cooperation that will make it easy for users of Office to use Dropbox for file storage and users of Dropbox to use Office apps. The web interfaces will support the other’s for editing, sharing etc. and will be available in early 2015. Moreover, in a few weeks, Office apps for iOs will have direct access to Office documents that are stored in the Dropbox. So, looking forward to news on this matter! A day at the Web Summit does not end too early though. Everyday when the main event comes to a close a side event called Night Summit kicks off in the city centre. So, each night another area in the city centre is assigned Web Summit networking space where people chat and mingle and have a great opportunity to get to know other participants and at the same time indulge in the Irish pub crawling culture. 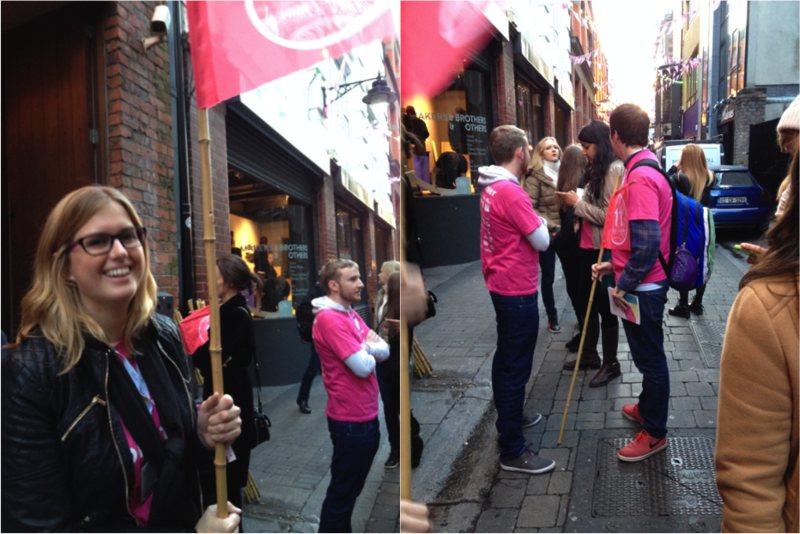 Volunteers were happy to help and lead the pub crawl groups around the city. 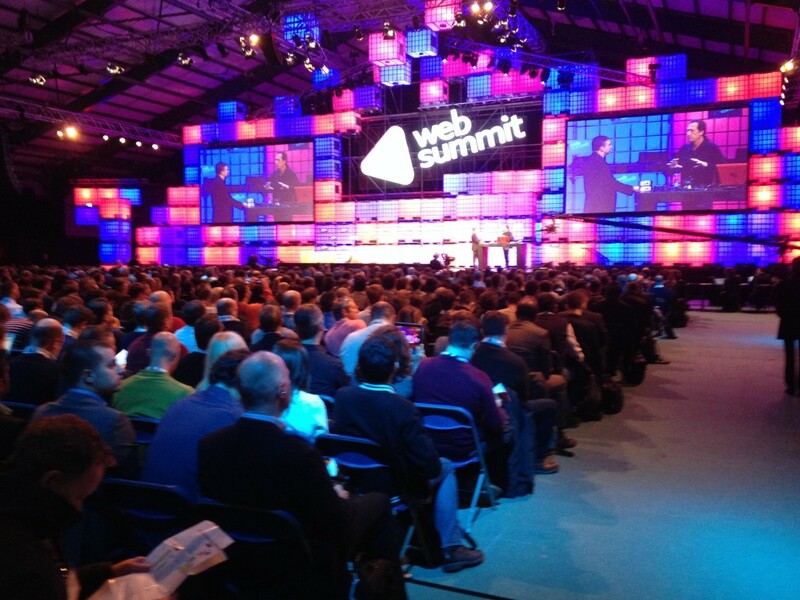 The second day of the Web Summit was not an inch less interesting and fascinating than the first one. In the morning I had the opportunity to explore the rest of the venue and talk to numerous interesting startups that just did a great job at getting people hooked on the enthusiasm they were spreading about their product. hire the right people. He said that a company that intends to become big and grow needs people to trust and this can be best tested by asking trusted friends about them. build the right team. Goldberg compared this with the creation of a sports team, where people have to have different strengths and said that he only hires people that know things he is not good at. It is moreover important to have a balanced mixture between experienced employees and unexperienced, unshaped employees who have a talent and the horsepower to be trained by the experienced people. These unshaped staff members usually become the best people in the long run. “no assholes rule” – sounds pretty simple. Goldberg argued that it is highly important to get rid of people who are good at what they do but are asses as they destroy the culture. A company needs people who perform and who buy into the culture. In order to measure the ongoing satisfaction with the culture it is important to regularly ask staff with e.g. surveys about their wellbeing and happiness with the corporate culture. As a big House of Cards fan I was close to a heart attack when I heard that Dana Brunetti from Trigger Street Production, who amongst other things produced this masterpiece, was giving a speech. It was clear to me that I could not miss out on this and I was close to bursting with curiosity to hear what this man had to say on the Tv in the age of technology. Clearly, this talk did not disappoint. Some key insights: Brunetti said that the audience is becoming more sophisticated and rather compare watching a movie or a TV series to reading a good book. Also, thanks to this genius, each season of House of Cards is released all at once, which gets them accused of supporting “binge watching”. Brunetti replies to this that binge watching has always been around and gives the example of DVD boxes that were watched all at ones. He moreover said that appointment watching is dead and that people want things when they want it, thus also TV shows. 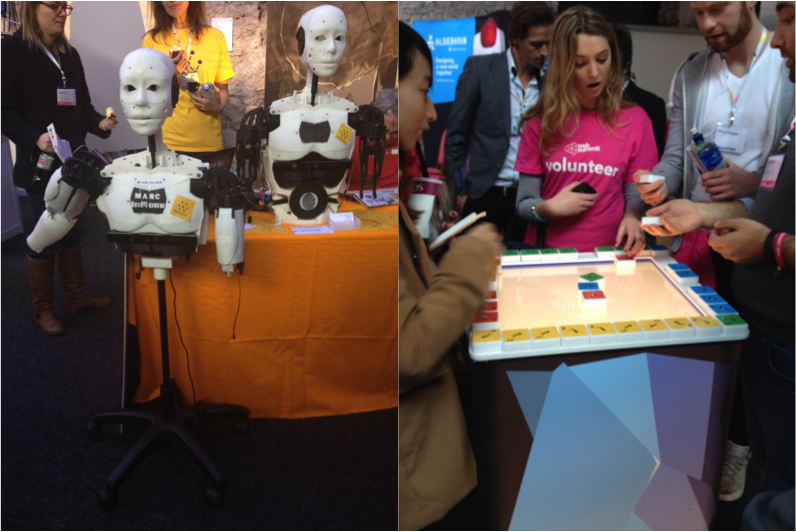 So, this was my Web Summit experience 2014. It was great to be part of such a unique event and its team. I had the luck to meet loads of great people, take so many inspiring insights with me and hope to be back next year, same place, same time.